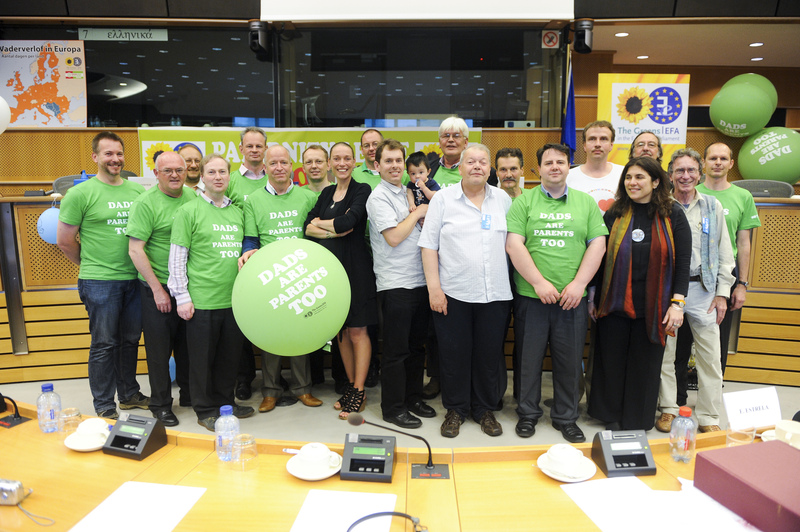 Founding event of the Platform for European Fathers on Monday June 27, 2011 at the European Parliament building in Brussels, Belgium. The PEF Founding Statement can be read here. The listing of present Member Organisations of PEF can be found here. June 28, 2011: Marije Cornellissen (MEP Dutch Greens/EFA), the ‘founding mother’ surrounded by the founding fathers of the ‘Platform for European Fathers (PEF)’ . Left to right: André Müller (VeV, Switserland), Alan Beirne (PEI, Ireland), Rüdiger Meyer-Spelbrink (VAfK, Germany), Paul Coleman (PEI, Ireland), Rob Williams (Fatherhood Institute, UK, Vice Chair PEF), Robert Pigott:(IMN, Ireland), Heimir Hilmarsson (EPI, Iceland), Marije Cornellisse (MEP Dutch Greens/EFA), Jan van Baelen (VKC, Belgium), ? ?, Peter Tromp (VKC, Netherlands, Primary founding father and Secretary of PEF), Robert Whiston (Men’s Aid, UK), Vincenso Semeraro (SOS Papa, Belgium), Joseph Egan (PEI, Ireland, Chair PEF), Attila Vida (EAÉE, Hungary), Konstantina Davaki (Guest speaker LSE, UK), Pedro Duffill Hobbs (UEFFACC, Spain), Klaus Gerosa (VafK, Germany), Oliver Peter Hofmann (MP, Austria). (Not in photo: Paulo Leitao (DdeL, Portugal), Luis de Sousa (IP, Portugal), Sean Kelly (MSGI, Ireland), Elephterias Ayfantis (Sygapa, Greece)). 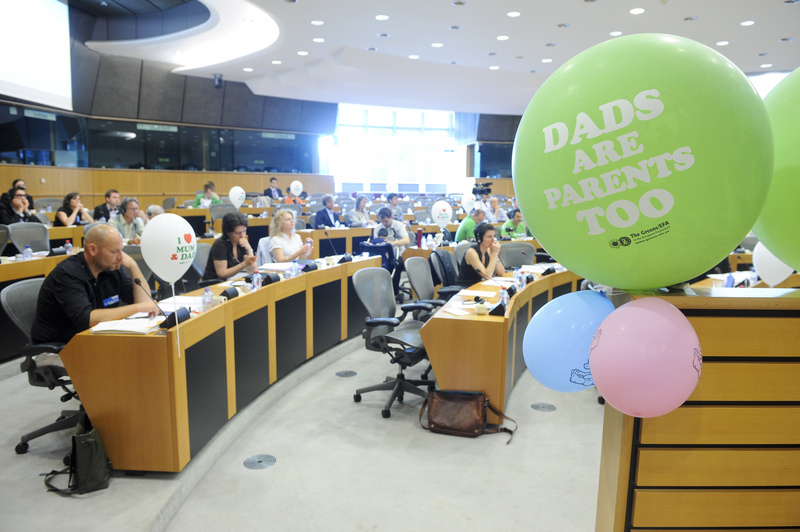 The founding of the Platform for European Fathers (PEF) was welcomed at the ‘European fathers’ congress’ in the European Parliament that was organised by the Greens/EFA on June 28, 2011 in support of paternity leave.